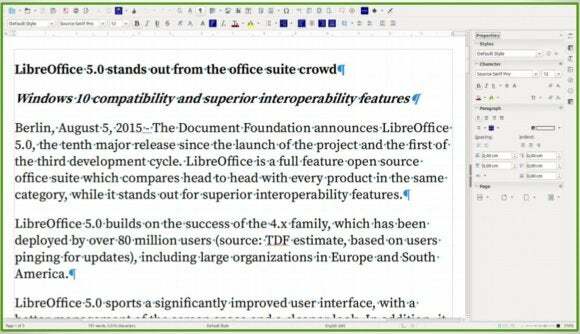 LibreOffice has released version 5.0 of its office suite, boasting what the company says is a more useful, intelligently designed user interface. If that sounds a little boring—well, it is. LibreOffice lacks the intelligence built into the latest versions of Microsoft Office. And though Windows 10 commands just a tiny fraction of the market, it also includes downloadable, simplified versions of Microsoft Office apps that automatically sync to the cloud. So why bother even writing about it? Because of one number: 60.75 percent. That’s the market share Windows 7 still holds, which lacks a free, native editing suite (ignoring Microsoft’s Office Web apps, for the moment). And that’s the market LibreOffice hopes to win. LibreOffice is now available for download from the Web site of the Document Foundation, which oversees the project. The Document Foundation claims that over 80 million users have downloaded and requested the 4.x versions, a substantial user base made up of users who either prefer open-source solutions, or are just looking for a decent free alternative. PCWorld reviewed LibreOffice 4.0 and loved it. Why this matters: Office’s sway is so pervasive, and its business features so powerful, that one can easily be lulled into thinking that it’s the only solution. And there are just a few other office suites out there, including Apache OpenOffice (though it is reportedly struggling due to lack of developer support); as well as Kingsoft (now WPS) Office. But if you’re stuck looking for a free editing and document creations solution, it might be a good idea to check out LibreOffice. 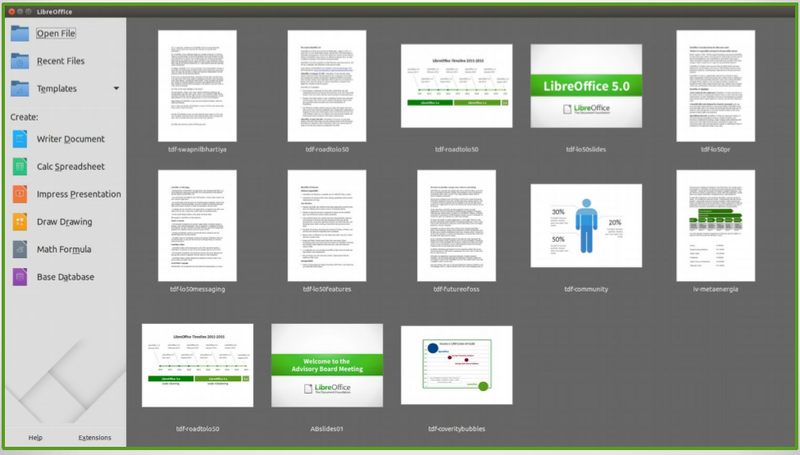 LibreOffice adds a new launch interface. In some sense, LibreOffice has been on hold since 2010, when the company took the old LibreOffice 3.0 code, cleaned it up, then refactored it in developing LibreOffice 4.0. In short, LibreOffice has spent as much time simply bringing a stable product to market as anything else. Italo Vignoli, one of the coordinators of the project, said that the defects per lines of code is now below 0.001, that code commitments on an annual basis reached 300 in June, and that import/export crashes over time have decreased to nearly zero. LibreOffice will be deployed as an .MSI file, not as an executable, meaning that LibreOffice developers will be able to push updates and patches more quickly than otherwise. The developers have committed to pushing out new versions on a set schedule, rather than when they’re done, he added. 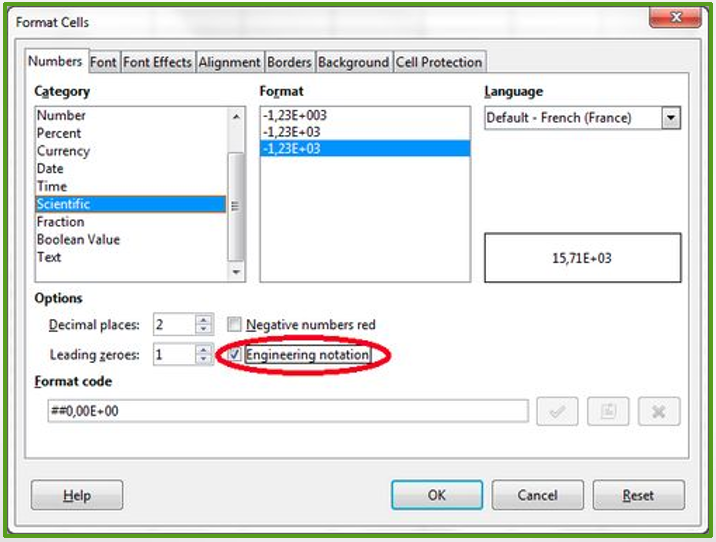 LibreOffice Calc punches up its scientific capabilities. So why should you download it? The suite still includes the standalone apps: Writer, Calc, Impress, and Draw, along with a Math formula calculator as well as the Base database. According to Vignoli, the suite boasts a new Start Center and an overall better UI, with features like the ability to preview styles in a sidebar and better compatibility between Microsoft Office and Apple’s own Productivity Apps, aka iWork. Documents can be exported to PDF, and time-stamped to boot. And they’ll all work with Windows 10. It’s worth noting that most (if not all) of the new features appear to be concentrated in the four core apps: Writer, Calc, Impress and Draw. In the future, LibreOffice plans to punch up the existing Ubuntu and Android apps (there are no plans to support iOS, at present) and to eventually launch a cloud version. Users will have the option to try out “LibreOffice Fresh,” a generally unsupported “ring” of new builds. It’s probably reasonable to think that Microsoft’s own free Office offerings will continue to improve over time, and that their user base will expand as more people become aware of them. On the other hand, there’s still room for free, “good enough” alternatives, and LibreOffice seems like it has carved out that niche for itself.